Become a CowSignals® professional. Choose your program. Prevent disease by improving cow management. Try 30 days without risk. We give a 100% refund if you're not satisfied. to retain your license and access to all previously purchased courses. Get acquainted with the CowSignals® concept. Congratulations! You are about to experience CowSignals® video training unlike anything else. 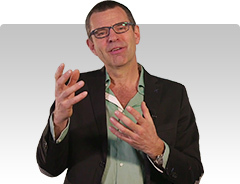 This introduction experience is free of charge and contains four training video's. You can watch these video's as much as you like. It's up to you to take it to the next level and upgrade to a paid account at any time you like. No obligation, no catch. Just enjoy it! Get to know the very basics. Start changing the way you look, think and act. None. It is 100% free of charge. No credit card required. Learn how to employ CowSignals® in your farm. The Cowsignals Training Program is especially created for dairy farmers, farm managers, herd managers and farm staff. It's practical, cow based and independant. See all cow signals, understand what they mean & know how to take action. Your cows live longer, better and more productive lives. You get more income and working pleasure. Create an animal friendly & sustainable profile for your farm. This online training is perfect to train your farm staff. Watch 5 minutes of this training together with YOUR STAFF, every monday during your coffee break. It will motivate your staff and help them to do a better job. There are 5 hours of video training. So you can have 60 CowSignals® Coffee Breaks. Just € 300.- for the entire CowSignals® Certification video course. No extra charges, everything is there. You can watch or use all features as much as you like for 365 days. No further obligations. After a year an annual renewal is optional for € 300.- to retain your certification, staying focused and inspired. Try CowSignals® video learning for 30 days, and if you are not satisfied just send us an e-mail and we will give you a refund. Just that simple. Always and direct acces to the latest versions of all our tools. CowSignals® checklist for self evaluation of your farm management. Become a certified CowSignals® Advisor. Our program for vets, feed consultants, barn designers, breeding experts and other consulting experts who want to become an expert in consulting activities. You will be licenced to use all knowledge and branding for your own purposes in a one-on-one consulting situation. See all cow signals, understand what they mean and know how to take action. Learn how to convince and educate other people. You start learning others how cows live longer, better and more productive lives. You start learning farmers how they can get more income and working pleasure. You start building or expanding your consultancy practice. 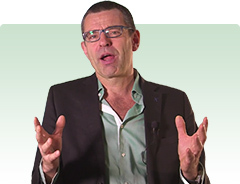 Just € 600.- for the entire CowSignals® Certification and PeopleSignals® Advisor video course. No extra charges, everything is there. You can watch or use all features as much as you like for 365 days. No further obligations. After a year an annual renewal is optional for € 300.- to retain your license as an advisor, staying focused and inspired. Become a certified CowSignals® Trainer. Our program for vets, feed consultants, barn designers, breeding experts and other consulting experts who want to make a business as a CowSignals® Trainer. You will be licenced to use all knowledge and branding for your own purposes as a trainer. Learn how to lecture and facilitate groups of people in your training. 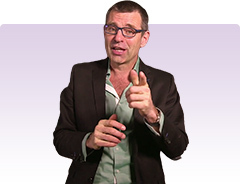 Just € 900.- for the entire CowSignals® Certification and PeopleSignals® Advisor and PeopleSignals® Trainer video course. No extra charges, everything is there. You can watch or use all features as much as you like for 365 days. No further obligations. After a year an annual renewal is optional for € 300.- to retain your license as a trainer, staying focused and inspired. Do you see the 10 signals? The most economical lifetime for cows. How long is a cow? Look through the eyes of the cow. What does the cow want? What's next? Thanks for watching! As a CowSignals® professional, you will be promoted on our website. Alongside your contact information, people will be able to view your areas of expertise and are given the opportunity to get in touch for your services. Check out all existing professionals. You will be licensed to professionally act as a CowSignals® Advisor. This license allows you to build a business consulting dairy producers in a one-on-one setting. You will be licensed to professionally act as a CowSignals® Trainer. This license allows you to build a business training dairy producers in groups. Rearing calves into heifers is a major investment in terms of money and labour. How can you turn your heifer into a strong, productive dairy cow while using labour, housing and feed efficiently. YoungStock Signals teaches how to achieve these aims. You'll cut the costs of rearing per kilogram of milk. HoofSignals online video learning, teaches how to focus on prevention, so your time won't be consumed by the treatment of lame cows any more. Incl. over 4 hours of online video learning, theory + practical, checklists and personal certification. Rumen acidosis is the silent killer of our cows. It's hard to recognize, but is the start of other trouble: mastitis, lameness and low fertility rates. Feeding Signals can help you prevent rumen acidosis. 80% of sick leave on dairy farms is caused by accidents with cattle. Also, chasing cows causes fear, lameness and lower milk production. This is bad for cows and bad for business. All of this can partly be prevented with more stockmanship training. NEW 80% of all problems arise around the transition period. Milk fever, ketosis and metritis are a direct results of shortcomings in dry cow management. This is cutting cow lives short. Good dry cow management is the key to 2 more lactations. Practical procedures for more immunity and less mastitis. Learn to understand udder health. She will show you 5 success factors: control, resistance, low infection pressure, milking and treatment. Focus on fertility, because it is directly related to money. Is she showing heat, do you observe heat, does she become pregnant? Two third of the success is in easy calving and a good start up. ‘Rumen acidosis is the silent killer of our cows’. By the time you catch it (or not), the other trouble already started: mastitis, lameness, low fertility rates and so on. 5 tips to prevent this! The way you and your staff handle your cows has a direct effect on lameness and milk production. Also, farm workers who handle their cows quietly, have less accidents. We have 5 tips for you in this webinar. 80% of all problems arise around the transition period. Problems like milk fever, ketosis and metritis are a direct results of shortcomings in dry cow management. In this webinar we give our 5 best tips on the subject. CowSignals for robot milkers is a practical, interactive webinar on cow behaviour and cow health on robotic milking farms. How do you make sure that cows are keen to go to the robot? We focus particularly on space, hoof health and work around the robot.